Detected most easily by placing a white card or cloth on ground and gently disturbing soil. 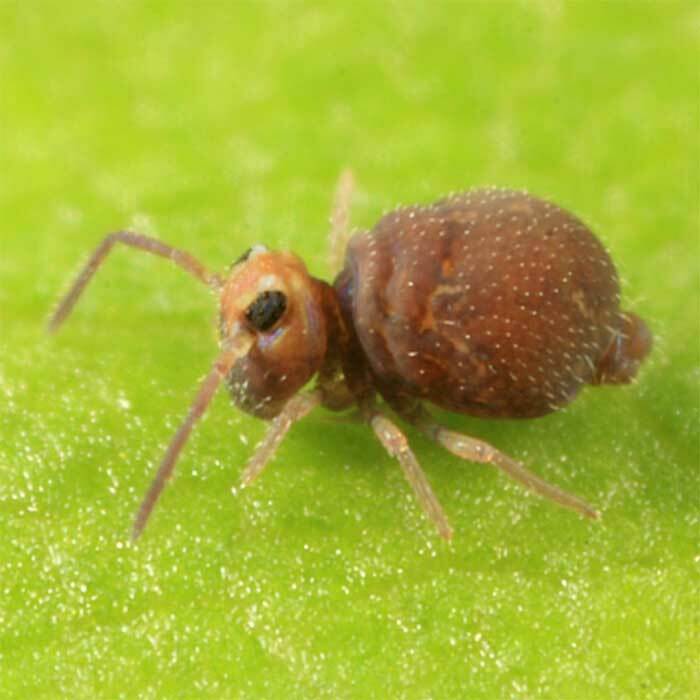 Several species of springtails may cause damage to seedling brassica crops and they occur throughout New Zealand. Bourletiella hortensi is the most common. These are soft bodied insects varying in colour from brown to black and grow up to 1 mm in length. They are a type of Collembola commonly known as globular springtails. This name derives from them appearing to consist of two attached balls (hence globular) and a specialised appendage which enables them to spring very quickly into the air (hence springtail). They live on the soil surface and lay their eggs in the soil. Under moist conditions development is very rapid. Several generations are produced each year. Early detection or better still prediction of damage is necessary to avoid seedling loss. Several insecticides are registered against springtails.